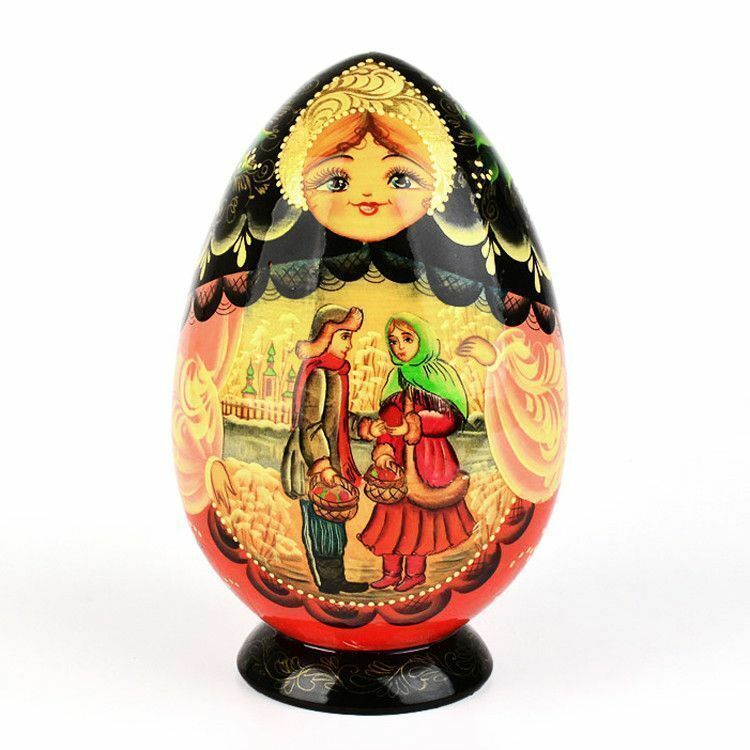 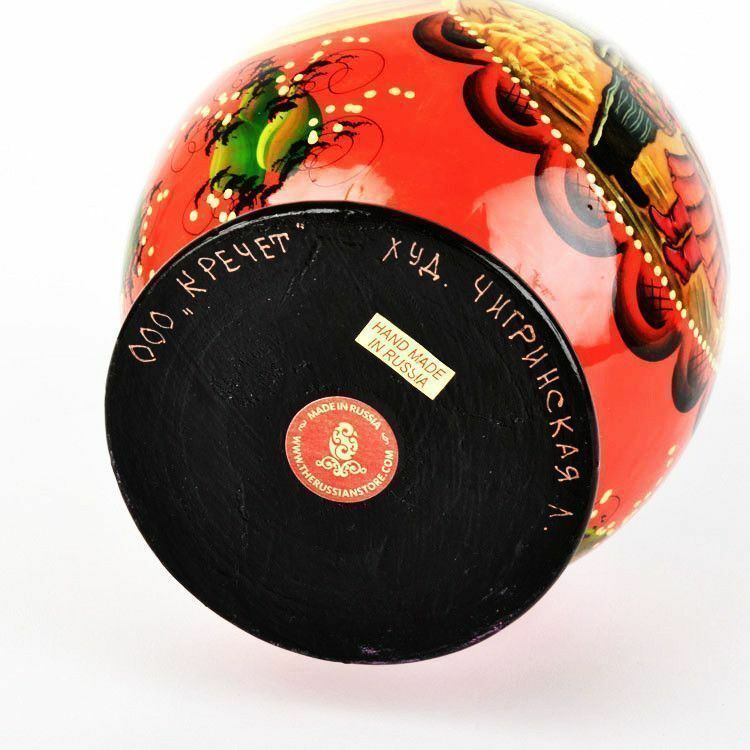 This 7 3/4" tall Russian Easter nesting doll egg was hand made from birch wood and hand painted by a Russian artist. 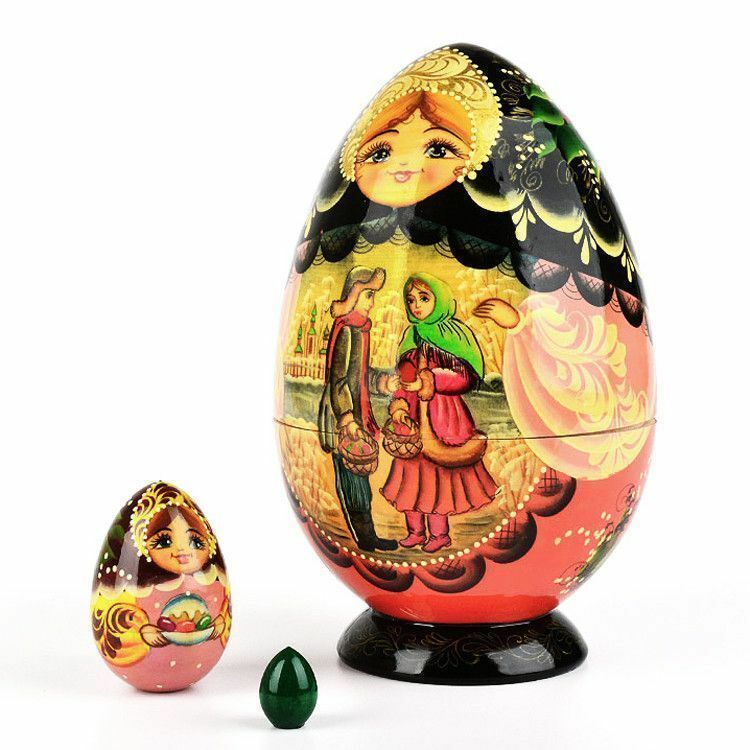 The front picture features the scene of children interchanging Easter eggs by Russian tradition. 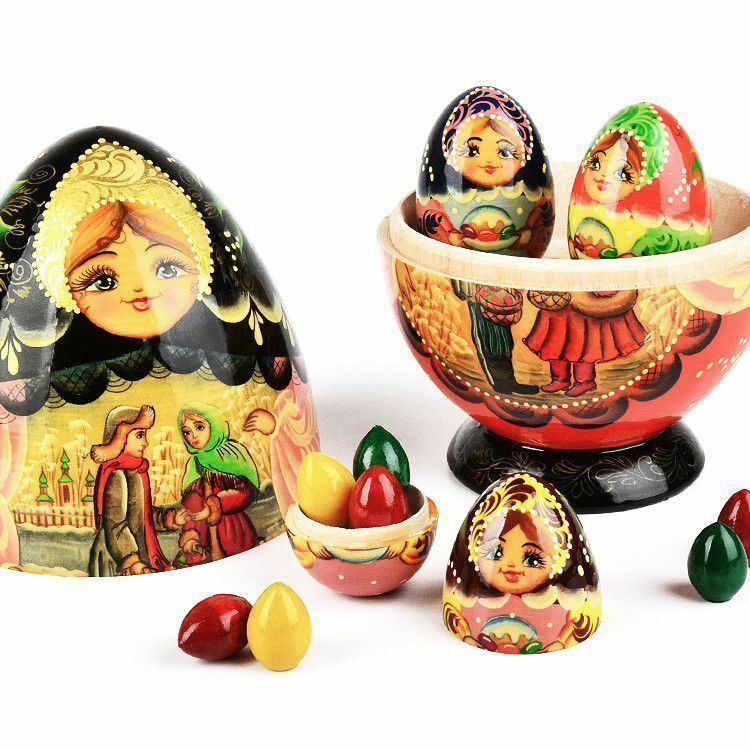 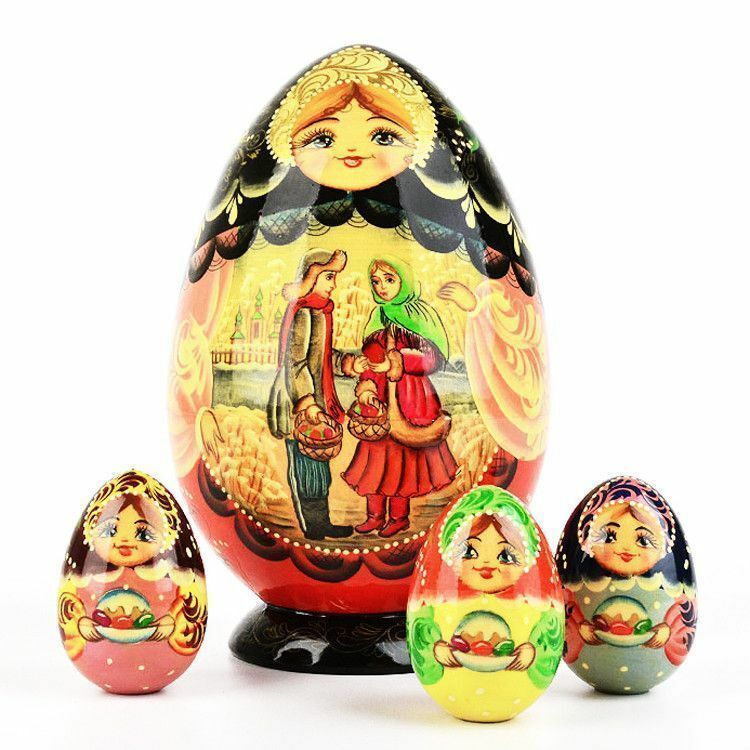 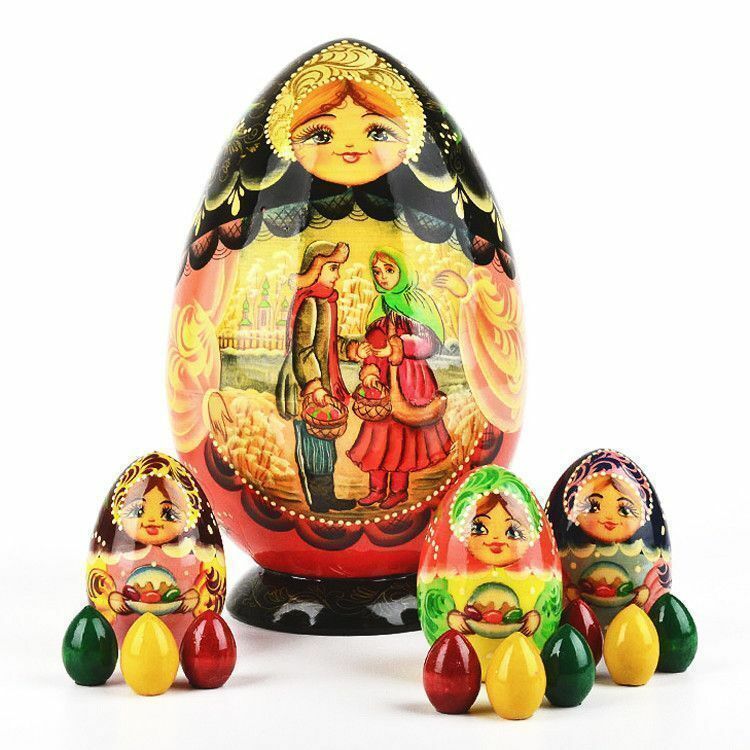 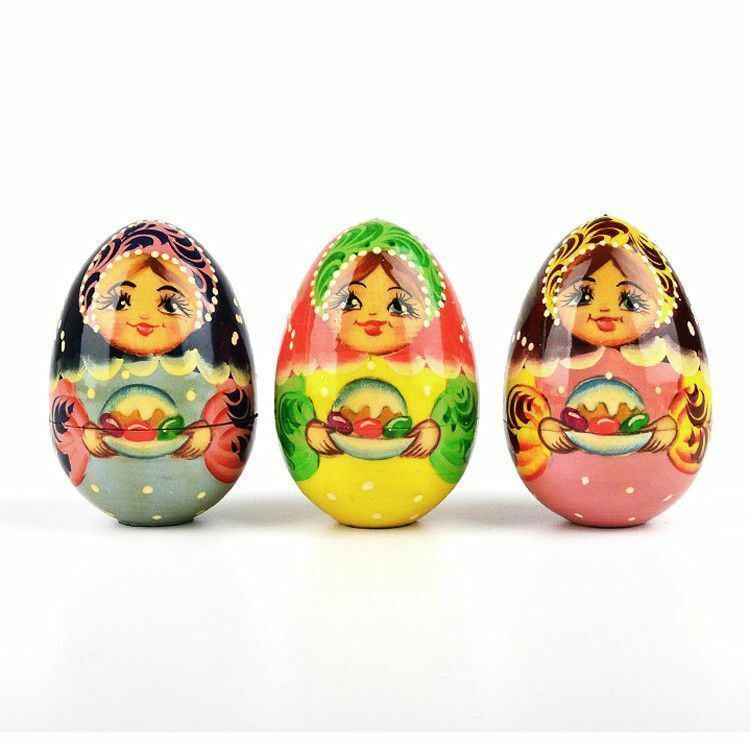 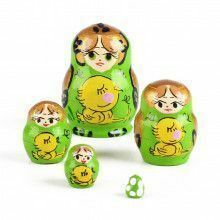 Open it up and it reveals three smaller hand-carved eggs, each with a painted Russian girl holding kulich (Russian Easter bread) and eggs. 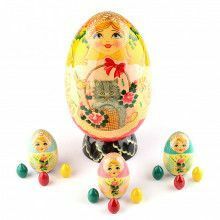 Open up these three small nested doll eggs and you will find another set of three solid color wooden eggs! 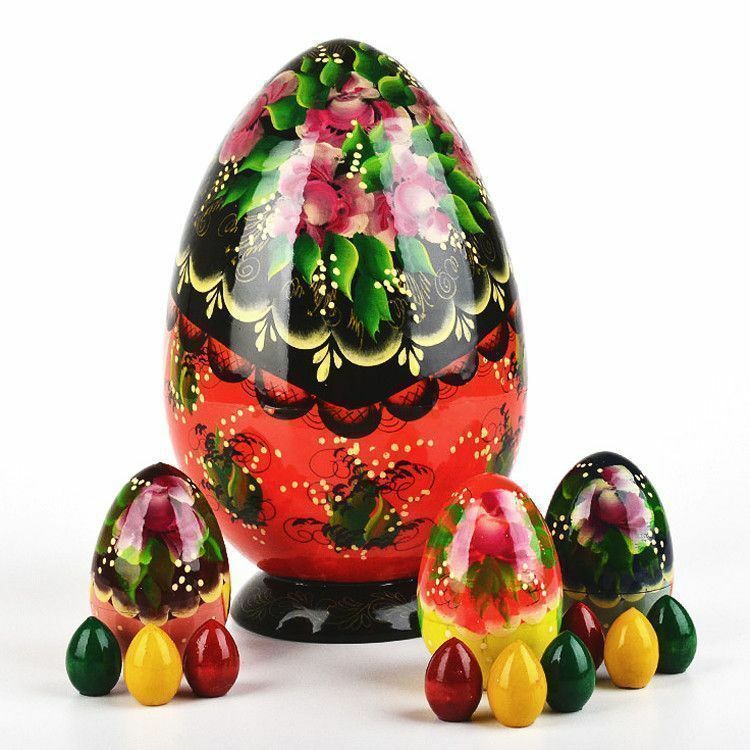 Makes an exceptional Easter-tide gift or home decoration. 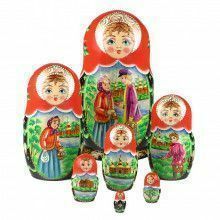 This is a hand-crafted product so colors and designs might slightly vary.